Get the pack of bird feeders at wholesale rates from our online store. 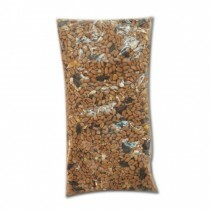 The packet is available in a poly bag and is ideal for feeding all types of birds. Due to this quality, the product is quite popular among bird watchers and nature lovers. The 200 gram pack is available for 0.29 pound per unit.